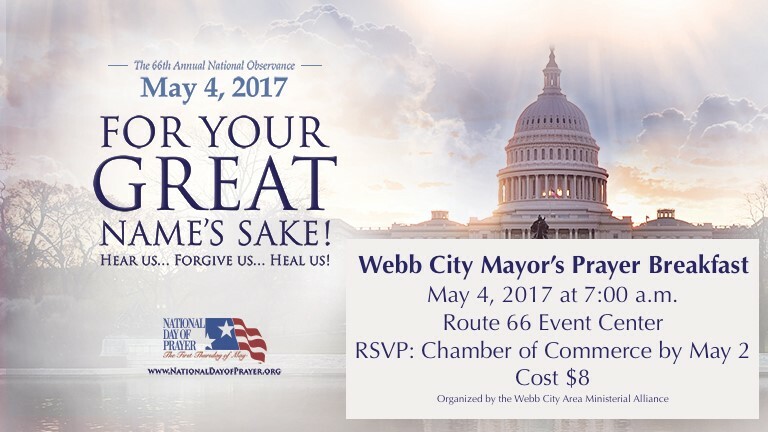 The community is invited to attend the National Day of Prayer Mayor’s Prayer Breakfast. RSVP to the Chamber by e-mailing leeann@webbcitychamber.com or calling 417-673-1154. Breakfast is $8. Organized by the Webb City Ministerial Alliance.